Obsessive Compulsive Running……. – A new way of thinking….. I walked out of the therapy session today feeling a completely different person to the one who tentatively went in there more than four months ago. I’m not saying it’s suddenly made everything brilliant, or altered the state of my life, but I feel I’m able to react to and deal with things, especially what “I” perceive as problems, in a different way. So much is about perception, isn’t it. Previously, I perceived asking someone for directions as a problem. But how many of you do the same? We all have different issues with aspects of life, that are peculiar to us, because of our experience and pre-conceptions. I’m getting all philosophical again – time to move on! Just before doing so, I’d like to say a big THANK YOU for all the positive feedback and messages everyone has left or sent. They’ve really meant a lot to me. And an even bigger THANK YOU to my brilliant therapist, who I was so lucky to be assigned to through the local NHS anxiety service. With her detailed knowledge she diagnosed my problems immediately, expertly guided me through sometimes difficult sessions, and left me with insight to help me move forward. I’ve also been fortunate to get a place on a Mindfulness course, which I hope will teach me to switch off from the hamster wheel more often. It’s all a combination of having the right tools and knowing how to use them. . . Without the right tools that work, you can’t make progress, however hard you try. But sometimes the answer is staring you right in the face, and you can’t see it until someone else points it out. Read the rest of the story! Visit A new way of thinking….. | Obsessive Compulsive Running……. This entry was posted in Obsessive Compulsive Running……. 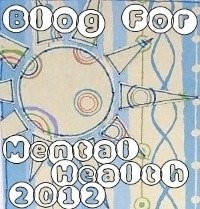 and tagged Blog For Mental Health 2014, health and wellness, mental health on 2014/06/30 by Ruby Tuesday. But it wasn’t like that. And I was struggling against it mostly alone. [T]he decision had already been made for me: I was going to kill myself. Read the rest of the story! Visit Judas and the Suicide Quagmire | Appalachian Preacher. This entry was posted in Appalachian Preacher and tagged Blog For Mental Health 2014, health and wellness, mental health on 2014/06/30 by Ruby Tuesday. Obsessive Compulsive Running……. – Publish and be damned! The CBT – that’s Cognitive Behavioural Therapy – I’ve been having in recent months is all about facing up to your fears, challenging your demons, doing something that in your wildest dreams you wouldn’t have considered previously. Writing this is actually acting out a part of my nightmare. Just as posting my blog every week is scary: I worry how people will interpret it, what will they think, will they even give a damn, does it matter either way? You’re showing a part of who you are, what makes you tick, allowing people to see you, flaws, vulnerabilities and all. Someone said to me this week how dangerous they thought it was, writing a blog, and how pointless. They thought the whole concept totally exposing and open to abuse by others without any gain or worthwhile reason for doing so. Well I’d say two things to that. How people interpret whatever they read and what they do with the information or narrative is entirely down to them, not me. In reverse, it’s just the same as when I receive feedback, good, bad – or frankly, mostly indifferent – I interpret it from my own perspective and consider how to respond. As to the pointlessness of it all, well whenever you start something new and untried it’s often hard to see the bigger picture, where it’s all going, what, if anything, will it lead to? Do you put down your brush and think, I’ll just stop now then, or do you add a bit more to the canvas, keep painting? Read the rest of the story! Visit Publish and be damned! | Obsessive Compulsive Running……. For just a sec: imagine terminating someone without warning because their chemo was “interfering with their work.” Unfair? Cruel? Hah! So to them, it didn’t matter that I was sick. I didn’t matter that I had an illness that, untreated, had a higher fatality rate than some cancers, and that not taking the meds wasn’t really a reasonable choice. It wasn’t a “real” illness or disability (to them), so that made it okay, and they could sweep the rest under the rug. After all, how could I complain? I was freaking mental patient. It doesn’t matter if it was legal, or even ethical; the damage was done and I won’t re-hash that part here. But here’s the irony: in the midst of rebuilding my health and shattered self-esteem, do you know what happened to that blot, that fuzzed out spot in my brain? It didn’t just clear. In fact, it’s starting to shine. I’m painting again, after four dry years. And writing? The words are pouring out, faster than I can keep up. It may not last, this wellspring, and I’m still both exhausted and unemployed, not to mention gun-shy and trying to start a freelance biz (of me – great time to need strength for self-promotion, huh?) besides. It’s sad, though, that the price is this: I know I have nothing to be ashamed of, but it’ll be a long time before I feel safe enough to come back out of the shadow. My words might, but not under my own name. Read the rest of the story! Visit I wasn’t Outed, I was never In | Translunary Things. This entry was posted in Translunary Things and tagged Blog For Mental Health 2014, health and wellness, mental health on 2014/06/30 by Ruby Tuesday. Obsessive Compulsive Running……. – Halfway! I don’t really see myself as a committed runner, and certainly not an athlete by any stretch of the imagination. I’m just an old plodder who likes the thinking time and free space you can lose yourself in on a long distance run. Running helps me escape the hamster wheel of thoughts and images whirring all the time inside my head – questioning, checking, trying to make sense of the crazy internal kaleidoscope. I’ve always thought I was a bit mad, a bit weird, a bit different. Sentiments, that my non-running friends in particular have used to describe me many times. Recently I’ve discovered that yes, whilst I am a bit different to many people, I’m not totally alone in the way I interpret things. I’ve recently been diagnosed with OCD – Obsessive Compulsive Disorder – a mental health condition that affects around two in a hundred people. It was quite a shock – even after years of sometimes desperate deep despair – to learn I had something identifiable. Something specific. Something with real symptoms which I experience in my daily life. What’s encouraging though, has been finding out that it can be treated. In fact, I am currently in therapy and it’s already helping. Read the rest of the story! Visit Halfway! | Obsessive Compulsive Running……. Halfway! | Obsessive Compulsive Running……. The one thing that killed things for my spirit was the lack of sleep and the neediness of our boys. I love them dearly, but oh my word they were, and they still are very needy. Love grows, patience grows, and anxiety grew big time for me. When my anxiety became too great…I would shut down and become depressed. I questioned my worth. I slept more or slept less. It was a battle with the beast of darkness. I wanted to see the light, but at times I just could not. I went to counselors, I talked with my family, I prayed…I took many different combinations of medications over the years. Some years are better than others. Thankful today that today my grandmother’s tea cup is filled with two little pills that balance me out…for now. I still struggle with insomnia, and I bite my nails on occasion (a life long habit). New situations or unknown outcomes still stress me out. When my children crumble into tantrums…I have to walk away and pray through those with them. My husband is a rock star. I am a back up singer. We work well together, and we “sing and dance” through the daily grind. Life is not easy. Genetics and life circumstances can make things even more complicated. If you are suffering from anxiety or depression OR both…you are not alone. This entry was posted in graceglimmers and tagged Blog For Mental Health 2014, health and wellness, mental health on 2014/06/16 by Ruby Tuesday. As the years go by I see things in my memories, that had I put it together sooner, show me insights as to my parents and the things they did, how they lived, why our environment was not the most healthy. But I had no idea. Nothing to connect their behavior with reasons. Any reason. As of today neither of my daughters want children, but who knows what the future holds for them. If they do, I hope they are better mothers than I have been. I’ve done the best I can for all the battlegrounds I have walked on. I hope they will be better. They will have more information to use. Or maybe they will be just as I was. I didn’t want to do anything the way my parents did. Turns out, though, I was powerless to achieve that. Read the post in its entirety! 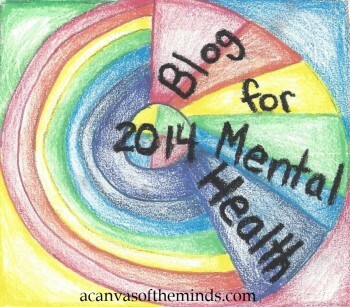 Visit 2014 Blog for Mental Health — Dancing In Quicksand. This entry was posted in Dancing In Quicksand and tagged Blog For Mental Health 2014, health and wellness, mental health on 2014/06/16 by Ruby Tuesday. It was just a happy coincidence that I decided to write a blog about my struggles with mental health in the same year that people were asked to pledge! I am honored to take part, and I hope together we can overcome the odds through writing and reading about each others’ experiences. An unbelievable number of us suffer in silence, but we should not, because mental health is everyone’s concern. I hope that you will follow me, join me, read with me, and let us stamp out the stigma forever. Read the post in its entirety! Visit Red’s Chronicles | My thoughts & advice on taboo subjects. This entry was posted in Red's Chronicles and tagged Blog For Mental Health 2014, health and wellness, mental health on 2014/06/16 by Ruby Tuesday. I am instantly connected to a web of wordsmiths who are passionately writing about their personal and professional experiences of mental health care. Together, in this bridging of online, intimate exchange, the world softens and hearts empathise with the universal suffering of the plague of ‘mental illness’ infiltrating our race, and together, we are doing something about it. . .
Read the post in its entirety! Visit The Babyfacedassassin – Blogging for Mental Health 2014 | The Babyfacedassassin. This entry was posted in The Babyfacedassassin and tagged Blog For Mental Health 2014, health and wellness, mental health on 2014/06/16 by Ruby Tuesday. University policies should require mandatory mental health and suicide education for students. The “help is there if you want it” attitude we leave students with is similar to blaming a neglected child for not taking advantage of child protective services. At least if a child requires help, they are not shamed for needing it. Debunking myths and spreading facts about mental illness and contributing factors would help reduce stigma and “victim-blaming,” Providing students with the same education as “faculty gatekeepers” would increase identification of warning signs. When an entire student body is educated, disclosing internal struggles to a peer may seem less ominous than risking that a confidant may be ill-equipped to respond. . . Mental health shouldn’t only be addressed when it becomes dangerous, just like healthy eating habits shouldn’t be endorsed only after a heart attack. Mandating this education would benefit all students regardless of their position on the mental health spectrum. Many falsely fear that open-dialogue may lead to action, yet discussion may be the most beneficial tool in our arsenal. The Garrett Lee Smith Memorial Act of 2004 has provided suicide prevention grants for 38 schools, but the 2013 Reauthorization hasn’t been passed. Read the post in its entirety! 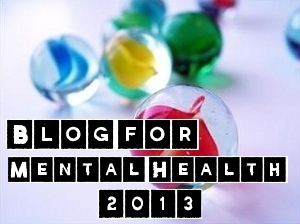 Visit #changinglivesshapinghearts | Blog for Mental Health 2014 Project. This entry was posted in #changinglivesshapinghearts and tagged Blog For Mental Health 2014, health and wellness, mental health on 2014/06/16 by Ruby Tuesday.